What was inspired you to start Primo? Finding out I was going to be a parent inspired me to work on launching our first product, I thought it would be fun to build an educational toy for my son and share it with a few hundred other people through Kickstarter. That was going to be the end of it. 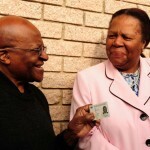 What inspired me to build Primo as a company came from the reception and love our campaign received. More people than expected wanted a Cubetto play set, pre-sales kept coming in even after the campaign ended, and it felt right to try build a business on the back of it. What do you most enjoy about running Primo? Doing hardware is very difficult. Everyday i learn something new about myself and my team. I like the sense of growth it gives me as an entrepreneur, as a designer and as a CEO. I also enjoy that our product is well understood and loved by all who come across it. It makes all the difficult parts that come with developing and producing a product worth spending time on, because i know we work on something people really want and love. How does Primo stand out from competitors in the industry? 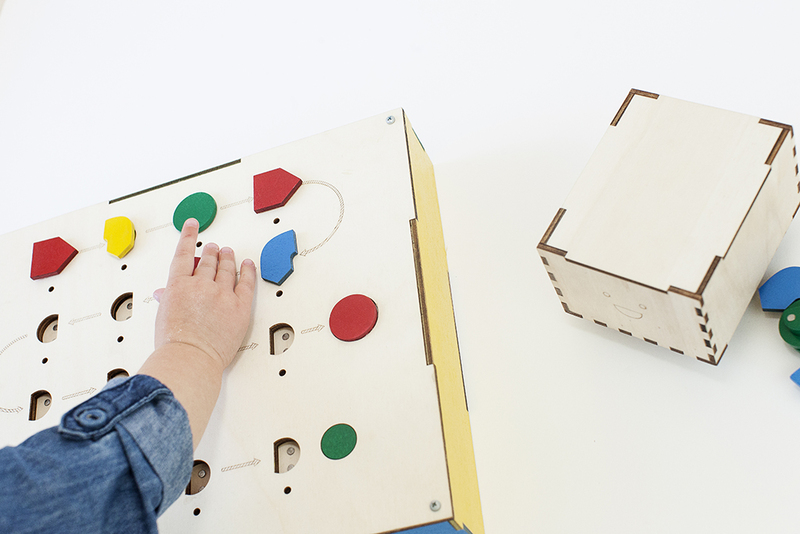 We combine industrially produced toys with the world of open source DIY electronics. I feel we are doing something unique here, because we offer toys that work flawlessly out of the box, but are also easy to open and physically hack with plug and play electronics. There is a whole other level of learning we facilitate once you crack open our product. Ultimately i think where we really stand out and excel is in the extensive educational research and design process that goes behind our products compared to our competitors. 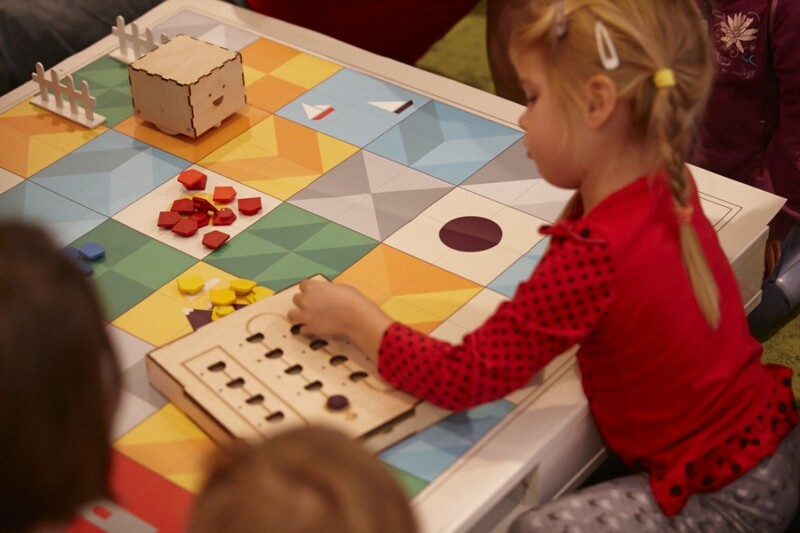 How did you make the design decisions on cubetto and the building blocks for Primo? Through research and user testing. We realised that what would make programming logic accessible to young children, was to turn the abstract into concrete. So the “coding” experience, if you like, had to be transformed into something children could control through physical manipulation. This is how the idea of physical blocks was born, then of course the final design is something we honed over time. Cubetto was originally a car. He became a cube out of production convenience, and a little character because we like silly things. It worked though, and children seem to really like him. A normal day is quite varied, there is a lot to do and many hats to wear in a small team, but there are a few things i always do no matter what my day is like. I always try and connect with at least one customer every day, even if it’s just to know how they are getting on, or wether i can do anything to help. It’s a grounding exercise, and it reminds me of who we are really here to serve, not us, not our investors, but our customers. I also try and sit down with my team once a day for at least half an hour for a quick checkpoint and to see if everyone is happy with their work. Other than that i visit distributors, investors, suppliers… business as usual as they say. Congratulations on a successful kickstarter campaign! How did you decide kickstarter was the way forward to raise initial funding? Kickstarter has a very unique community of users. It’s as much about individual makers and designers trying to get their project off the ground as it is about people looking for new innovative products to get before everyone else. We felt that our Cubetto Play Set fit right in the middle of this “demand and supply” relationship Kickstarter created within their platform. Coming from Italy, how has starting a business in London been for you? Are there any differences in the tech scene? This i cannot answer. I was brought up in the UK and i have very little experience of the Italian tech ecosystem, so i have no basis for comparison. But having started two other businesses here in London i can say there is no better city to make things happen. The most important thing i learned, and that i’m still learning, is to delegate and let go. To trust the team i surround myself with, and that if i can’t trust one of my colleagues to do something better than i ever could, then i probably chose the wrong person to work with. The greatest achievement will be shipping our first product. Everyone is still on call and on the grind until this has happened. In the coming year, what would you like to achieve with Primo? 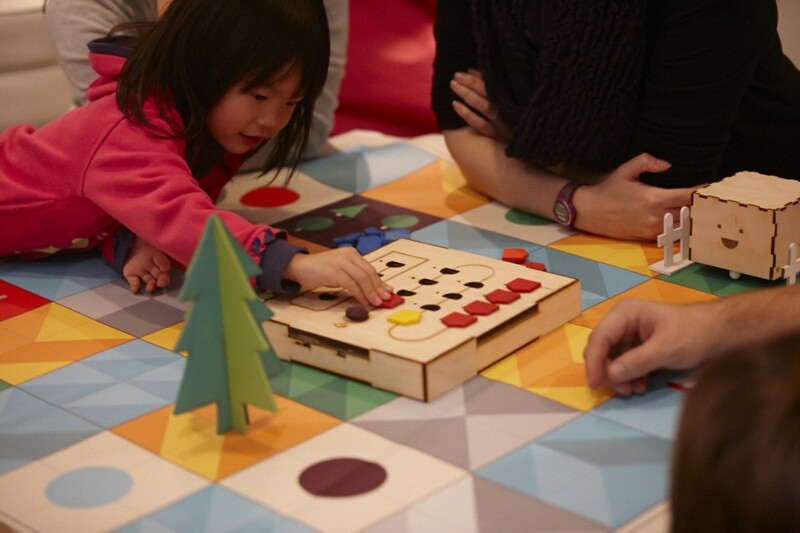 We would really like to see our Cubetto Play Set on the shelves for Christmas 2015. Whatever you want to do, make sure you really love doing it because start-ups are difficult, and if you don’t love what you do you will give up. I would also like to invite people to make sure they know the difference between loving what you do and being in love with what you do, but that’s probably a separate, much longer conversation.